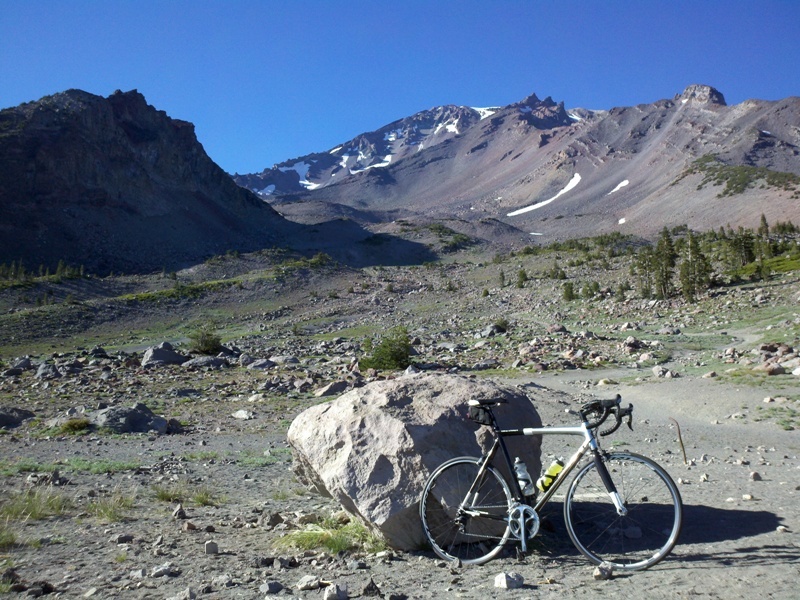 The Mount Shasta Summit Century is an epic ride with breathtaking views. 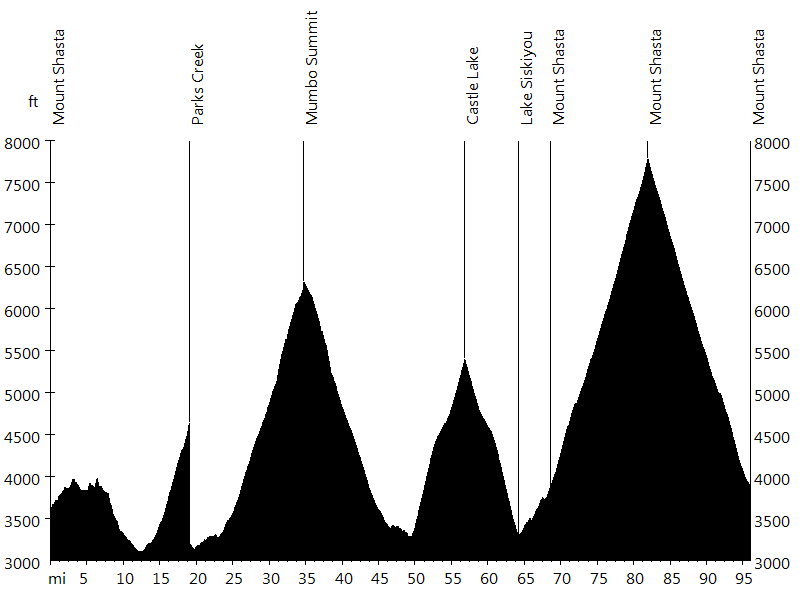 A super century with four major climbs as well as shorter routes are available. Since the route is designed in a cloverleaf layout, the start/finish is only a downhill away. 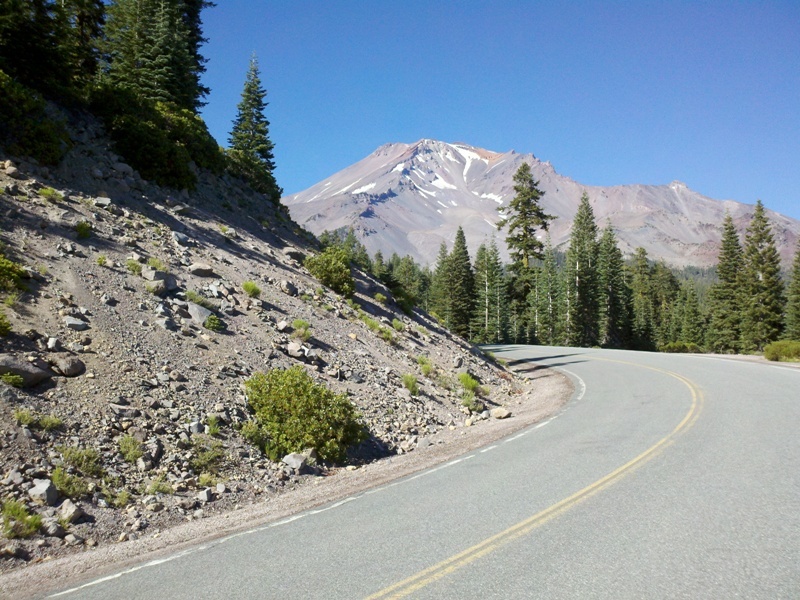 The ride starts in Mount Shasta (3,633 feet), located at the bottom of 14,179 foot Mount Shasta, and leads through the Shasta-Trinity National Forest. The first climb is Parks Creek Summit (6,854 feet), which starts after about 13 miles of rolling terrain. 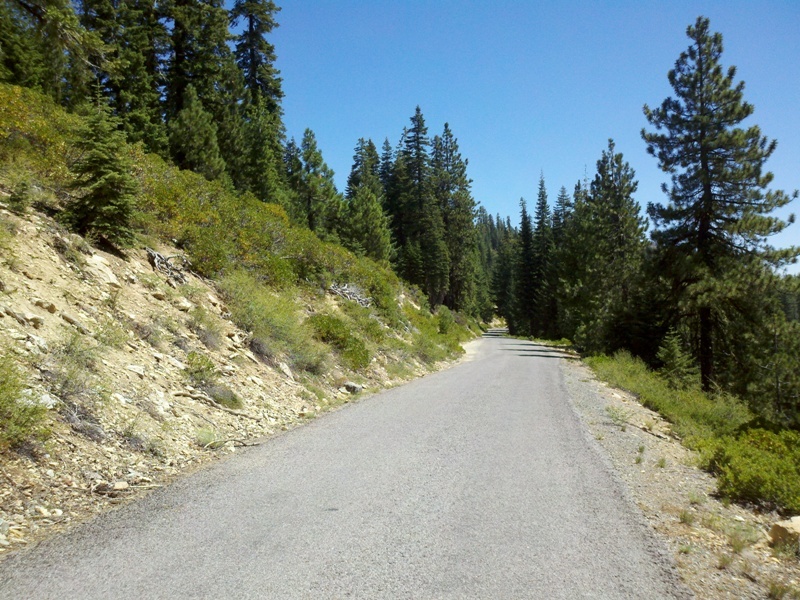 The way back to Mount Shasta mostly follows the same route, with a visit to Weed, adding some more rolling terrain. 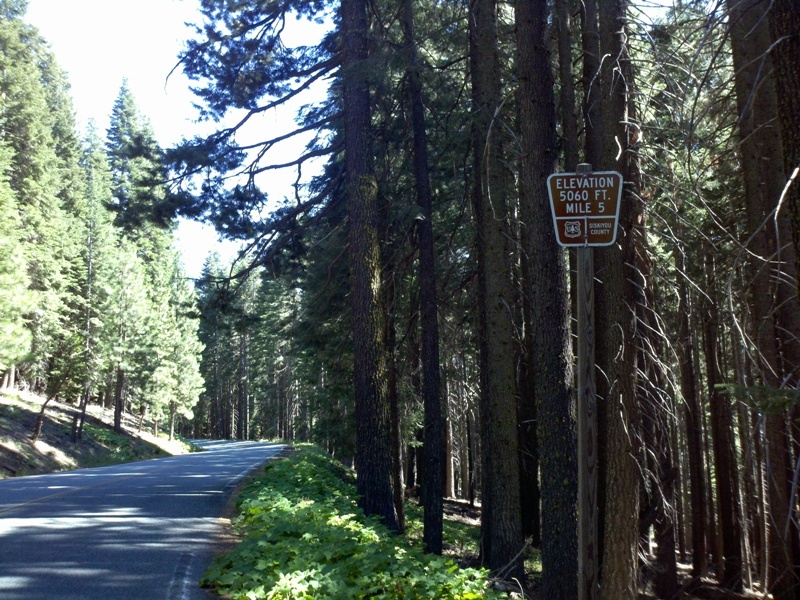 After passing Lake Siskiyou, the second climb is Mumbo Summit (6,308 feet), which for the lower part follows the South Fork of the Sacramento River. The upper part includes a few steep sections. The third climb is Castle Lake (5,343 feet), which also includes a few steep sections, but unlike the second climb exposed to the mid-day sun. 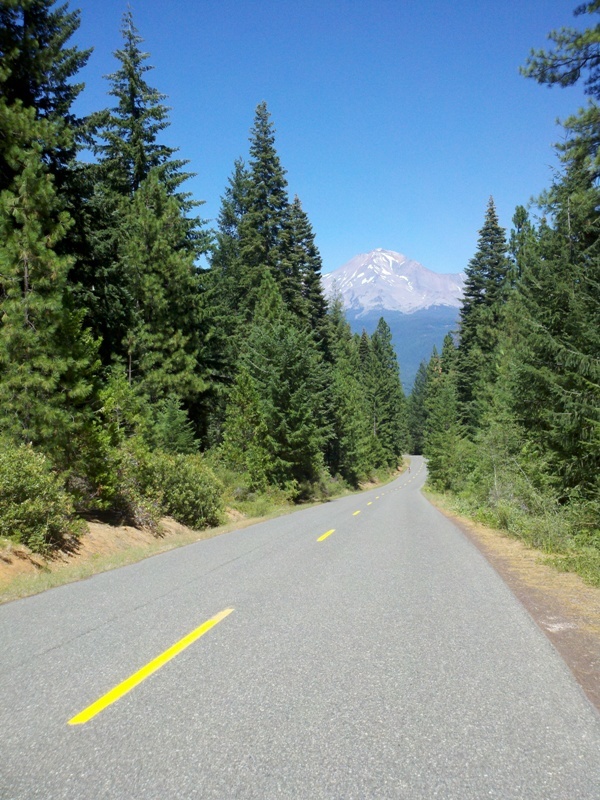 After passing Lake Siskiyou in the other direction, the final climb is Mount Shasta (7,732 feet). 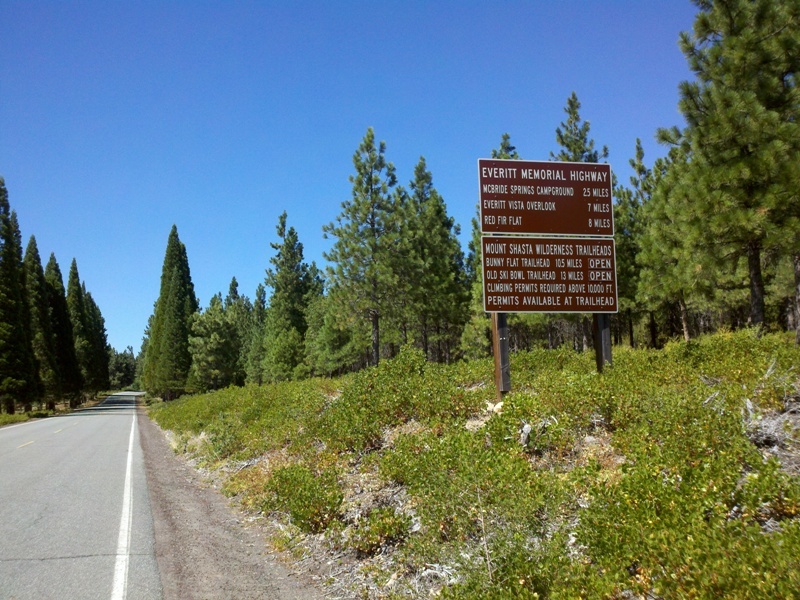 The top of Everitt Memorial Highway, known as Old Ski Bowl, is the highest point of the ride. 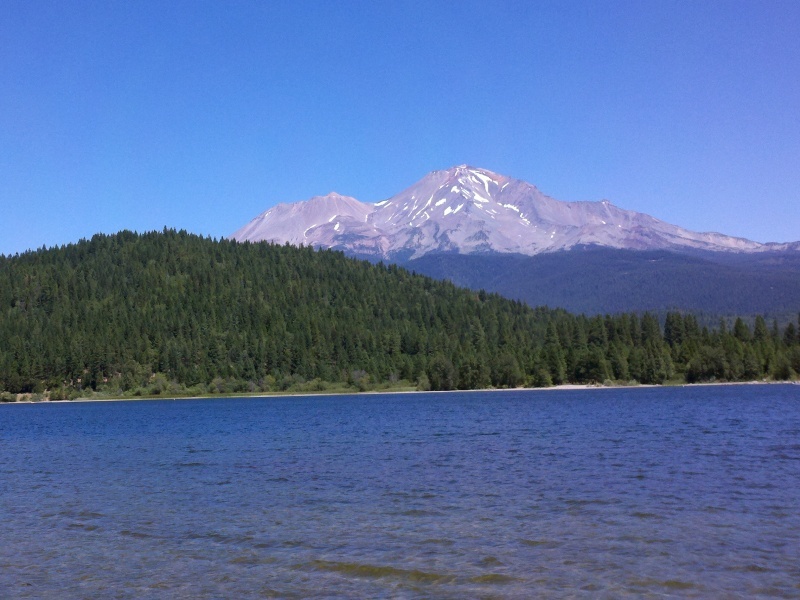 Sandra, Lisa, and I went a week to Northern California, including two days in Mount Shasta. I was signed up for the super century, a ride I have been much looking forward to. However, at mile 19 my rear derailleur broke off, and I thought the day was over. Wayne S. was so kind to pick me up on the first climb and drive me back to town. After confirming that no rental bikes were available, he dropped me off at the lunch stop, where Jeff from The Fifth Season started setting up his bike mechanic tent. Jeff did not have all tools and parts with him to fix the problem, but he took my bike back to the shop and took care of it. Thanks to both Wayne and Jeff, I was able to continue the ride and complete three out of four climbs. The day after the ride, Lisa and I swam across Lake Siskiyou.